Work atmosphere can turn tiring and be pressurizing when the employees have to spend all day long sitting at the office and typing away. This not only affects the health of the employees, but also the productivity of your company. Today more than 75% of those who work in an IT field experience sore back, throbbing knees, and eyestrain on a daily basis. Your company can perform at its best only when the employees are comfortable and healthy. One of the main reasons for health problems due to sitting for long hours comes from the posture that is maintained throughout the day which is influenced by the furniture. Many of the office spaces have started to use agronomical furniture to reduce these health hazards. Ergonomics is a science of designing any workplace in such a way by keeping in mind the limitations of the people there and intending to maximize productivity by giving importance to the comfortabilities of the people there. Ergonomics mostly deal with furniture and gadgets to bring in creativity along with comfort. 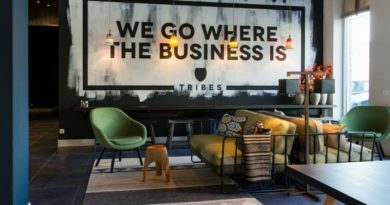 These furniture’s not only make your office an interesting place to work but also see to the needs of comfort for your employees. Here are 5 must have ergonomic furniture in a modern-day office. One of the major reason for back pain is the same posture in which the employees are forced to sit for hours. Sitting in the same posture affects the blood circulation and thus result in muscle soreness. This can be overcome by making sure your employees spend an ideal time sitting as well as standing. You can have ergonomic sit-stand furniture for this purpose so that the work is not interrupted. This modern-day furniture is quite ideal for a small or shared space but can be used also for a large office space. 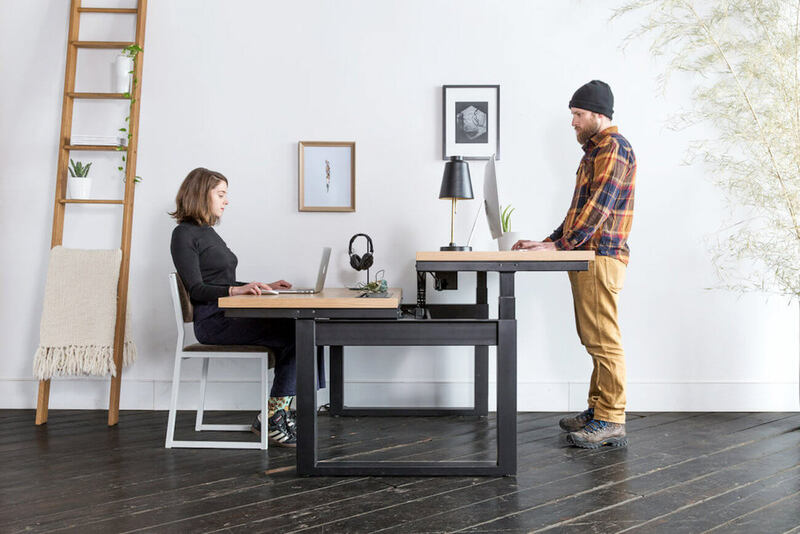 These desks can be adjusted according to height and make it perfect to work by sitting or standing. Another feature is that you do not disturb other employees in need of standing and working. They also help you to reduce back pain and eye strain. They are available in various sizes according to your needs. From the basic sit-stand desk that has space for a computer, there are larger desks that have space to hold up two or more computers and work in dual. Continuous use of computers not only bring you eyestrain, they also lead to wrist pain if the posture is not correct. Shoulder pain is another problem that can come due to slouching. The only solution to this is if you adjust the height of your computer to the eye level as this is the posture suggested for continuous use of the computer. 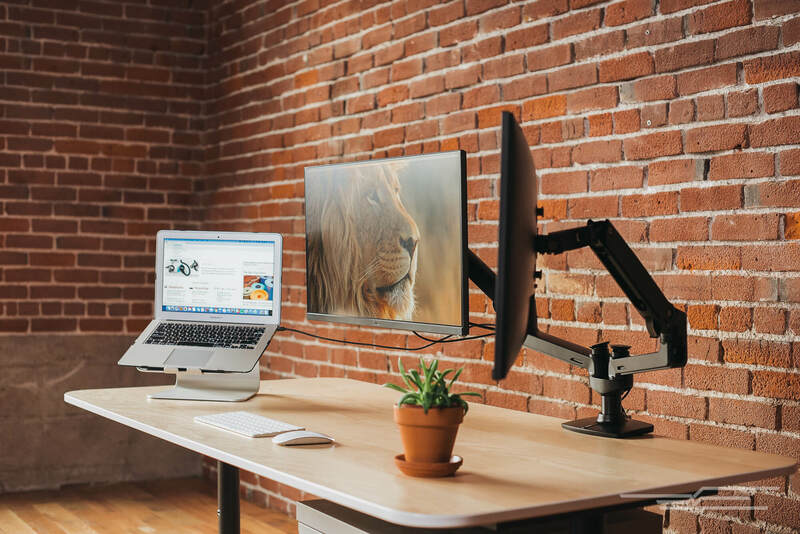 While it might be tough to change the desk and chair, especially since heights and eye level vary from person to person, the best solution is in using Monitor arms or a monitor stand. This can help you adjust the height of your monitor to your eye level and thus reduce eye strain and wrist strain. It only free ups the space taken by computers. You can make good use of the additional space for keeping your papers or files. Using monitor stands can also help you with the same. If you are using laptops, there are laptop stands too that would help in adjusting the height to eye level. Modern-day monitor arms come with options to hold monitor and laptop or another monitor if necessary. The best monitor arms are from ergotron but you can easily get similar ones with good quality like the one by amazon basics or fully Jarvis. CTS is a common medical problem that is associated with overuse of computers. These normally affect the joints of wrist leading to severe pain. One of the main reason for this is typing for long period with strained hand positions. It was as a solution to these that ergonomic keyboard and mouse were introduced. With proper hand rest and natural positioning of hands for keyboard and mouse, it has been found that CTS can be overcome. With the latest ergonomic keyboard by Microsoft, you can say goodbye to a wrist and arm pain caused due to continuous typing. It comes with keys, zoom button and even a palm rest to assure the utmost comfortabilities. It is a fixed split keyboard angled according to your hand positions. While it might be slightly tough to use at the beginning, once you get used to it, you can’t help but fall in love with it. The latest model by Microsoft is also wireless with led life indicator and has an ergonomic laser mouse with it. Together this is worth the money. While one may pay attention to health problems related to backbones and shoulder, one thing we often forget is about our feet. Just like any other part of your body, your feet too needs to be stretched and relaxed for a better circulation to every part of the body. It is best to either raise your feet a bit from the floor or keep them firm on the floor for good circulation. With ergonomic footrest, the person can adjust the height according to their needs and sit back and relax while the footrest starts to reduce the pressure from lower backs. An ergonomic floor mat is best for sit-stand workstation. These can make sure that proper blood circulation is taking place and even massage your feet with the tiny amount of vibrations. 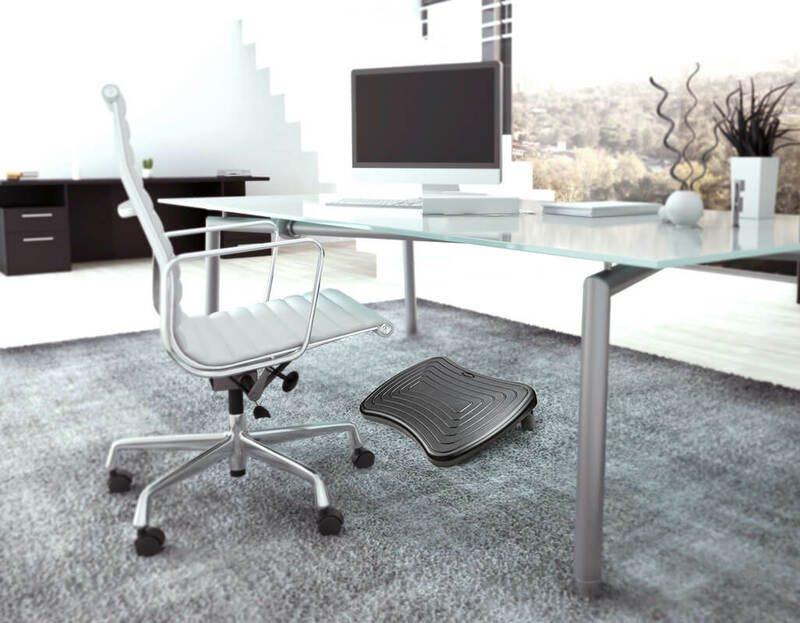 Most of the foot mats and footrest come with anti-fatigue properties and assure 100% comfort. 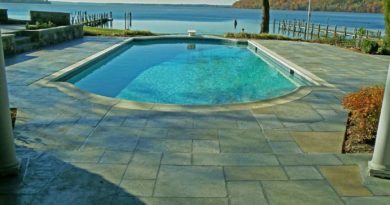 With anti-slippery and skid surface, they can be comfortable and convenient to use. 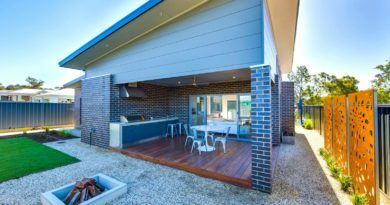 Some of the best mats are from cumuluspro and sky mats. By now it has been established that back pain can be caused due to overuse of computers. While one can try to get rid of them or avoid them by using ergonomic furniture’s, it is not always possible to afford an ergonomic chair for employees as it might go over your budget. You might get cheap ergonomic chairs but the effects and results they offer will never be the same. This is why you can go for alternative options. The solution to this problem is by providing foam backrests. The temperature and pressure sensitive foam can act according to your body type by pressing against the required points and thus assuring blood flow. This will stay firm on your chair and is the best back support an employee can have. Now you can save on your furniture’s as well as provide comfort for your employees. It provides almost the same results as an ergonomic chair would do. They help in straightening your posture and in blood circulation. You can also move it according to your comfortabilities and area of soreness. Some of the best ergonomic backrests come from Castle Bulwark and Ziraki. There are various other ergonomic ways through which you can make sure of zero strain and get rid or avoid medical problems related to prolonged sitting and computer overuse. Some are quite simple like having pleasant and light colors around to reduce eyestrain, having task lights etc can be a permanent solution to this. You can also make your office a stress free atmosphere by placing few indoor games to play during a break such as caroms or chess and having positive pictures around. Let your office be a place of relaxation than pressurization.